Press TV – A senior Iranian official says the Islamic Republic will not accept the attachment of conditions, particularly those concerning the country’s strategic modus operandi, to the 2015 nuclear agreement signed between Iran and the P5+1 group of countries. “The JCPOA (the nuclear agreement, known as the Joint Comprehensive Plan of Action), must not be dependent on other conditions, particularly Iran’s strategic conditions, i.e. its active presence in the region and also its assistance to the resistance front as well as the development of its [the Islamic Republic’s] defensive capabilities,” Ali Akbar Velayati, a senior adviser to Leader of the Islamic Revolution Ayatollah Seyyed Ali Khamenei, said on Saturday. 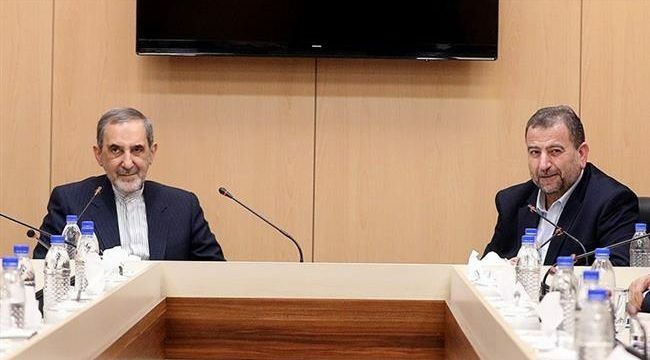 Velayati made the remarks while speaking to reporters on the sidelines of a meeting with the Deputy Head of Hamas’ Political Bureau, Saleh al-Arouri, in Tehran. The issue of Iran’s missile or non-missile defense has nothing to do with foreign countries, he pointed out. He criticized the presence of the United States and its European allies in the Middle East and emphasized that only regional states have the right to be present in the region. Like the US, European countries have no right to meddle with Iran’s defensive issues or its regional role, he added. The top Iranian official said the Islamic Republic would give a positive response to any requests for help from regional states, including the legitimate governments in Syria and Iraq, in line with its national interests. Iran has been lending military advisory support to Syria and Iraq at the official request of their governments. Both Arab states have, time and again, lauded the contribution made by the Islamic Republic. Speaking at a non-proliferation conference in Moscow on Saturday, Iran’s Deputy Foreign Minister Abbas Araqchi stressed the importance of fully implementing the JCPOA by all its signatories and said the nuclear deal could by no means be re-negotiated. “We don’t see any possibility of re-negotiation, for any addition, for any annex, for any add-on, for anything for the JCPOA,” said Araqchi, who was a senior member of the Iranian team negotiating with the P5+1 countries.